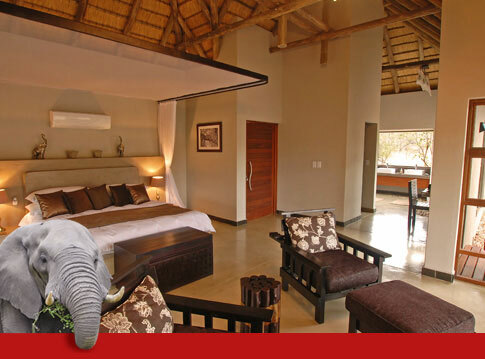 Whether you like to be pampered or take care of yourself, the accommodation at Raptor Retreat has what you are looking for – and more. Each spacious air-conditioned unit has high thatched ceilings and a huge, built-in king-size bed, as well as large sliding doors that open onto a private deck with double recliners. 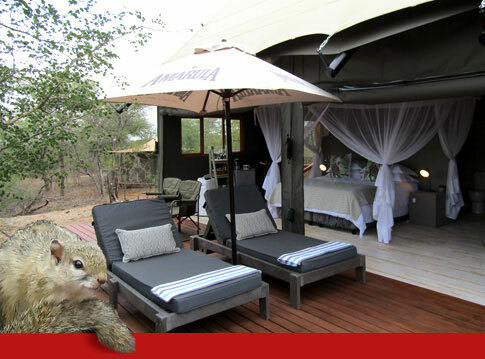 Our exclusive chic safari tented unit blends old-fashioned romantic charm with modern decadence. 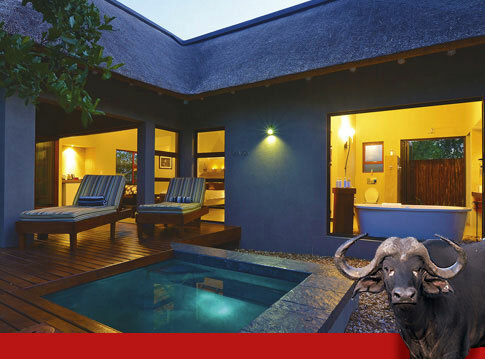 Nestled into the bush, you'll enjoy total privacy and beautiful views of unspoilt nature. 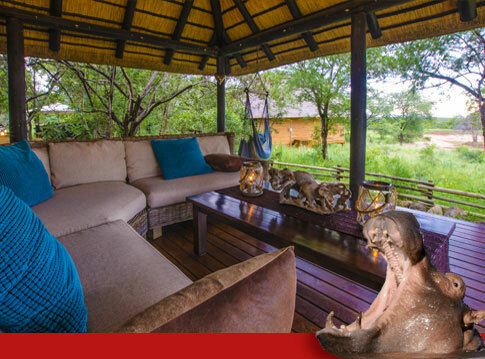 Our air-conditioned Hippo unit is the only unit that can be booked as self-catering or fully catered (dinner, bed and breakfast).